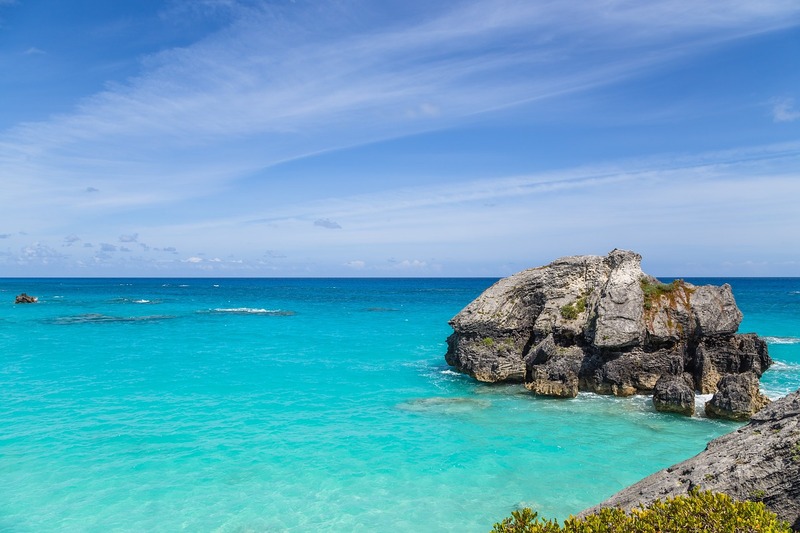 The cheapest business class flights to Bermuda from London we found for a client in the past month were for an amazing £3,527 return. To get today’s best price simply complete the form on this page and we’ll get back to you quicker than you can say Elbow Beach and Horseshoe Bay. British Airways offers direct business class flights to Bermuda from London with a Boeing 777 aircraft equipped with the airline’s Club World product. Flights depart five times per week from London Gatwick. In Business Class you’ll be able to check two bags at 32kg each and fast-track through the airport with dedicated check-in and priority boarding. Prior to the flight you’ll also be able to pamper yourself with a complimentary treatment in the Elemis Travel Spa and enjoy snack and drinks in the revamped British Airways Club World Lounge. Onboard the aircraft, BA’s Club World seats convert into a 183cm (6ft) fully flat bed, equipped with a 10.4″ entertainment screen for watching movies. The seat has an adjustable headrest and lumbar support, plus power supply for laptops and other electronic devices. When it’s time to sleep, you can curl up in luxury bedding created by The White Company, which includes a new padded mattress topper, a luxuriously soft large pillow and a super-soft woven day blanket with satin trim. The amenity kit comes in an elegantly designed bag from The White Company and contains products from the retailer’s Restore & Relax Spa Collection. When departing from L.F. Wade International Airport, British Airways Business Class passengers can use the British Airways Executive Club Lounge in International Departures, which is located after security and is open 18:00 – 20:30. When you fly to Bermuda, the airport is located in the parish of St. George’s, just 11 kilometres from the capital city of Hamilton. If you’re staying in the east of Bermuda, you should be able to reach your hotel in about 10-15 minutes. For hotels in the centre of the island, expect a journey time of 20-40 minutes, and for hotels in the west, expect the journey to take roughly 45 minutes to an hour. Taxis can be found outside arrivals to take you to your Bermuda hotel or destination. All Bermuda taxis are fitted with a meter and rates are fixed by the government, so you won’t have to worry about haggling or being ripped off. For 1 to 4 passengers the rate is $2.75 per mile. The meter starts at $5.15 and luggage is an additional $1 per piece. If you were planning to hire a car then think again – there are no rental car services in Bermuda, but you can rent a scooter to explore the island. Bermuda has no shortage of luxury hotels and spas for a romantic getaway or relaxing break. Match your business class flights to Bermuda with the ultimate luxury – Rosewood Bermuda has its own private beach and occupies 240 coastal acres, giving the hotel an altogether palatial feel. The resort is popular with golf lovers, who come to tee off at The Tucker’s Point Golf, Beach & Tennis Club – an 18-hole golf course which is one of the best on the island. Each of the 92 guestrooms and suites is decorated in a British seaside style, with a full bath with deep soaking tub and fine natural finishes. If you’d like to be located next to Bermuda’s famous beach, Horseshoe Bay, the Fairmont Southampton is just a stone’s throw away. Situated on 100 sprawling acres of land, Fairmont Southampton offers 593 guest rooms, many with private balconies and sweeping views of the Atlantic Ocean. The hotel also has a total of ten on-site restaurants, a private beach club, 18-hole golf course, dive shop, outdoor pool, kiddie pool, and the Willow Stream spa. Horseshoe Bay – Perhaps the most famous beach in Bermuda, Horseshoe Bay lies on the main island’s south coast, in the parish of Southampton. This beautiful beach is easily accessible by public transport; take the #7 bus from the City of Hamilton or the Royal Naval Dockyard. Crystal Cave – This 500m long, 62m deep cave was formed during the Ice Age and only discovered in the 1900s. The caves are one of Bermuda’s most popular tourist attractions and boasts a lake of clear water with a roof of thousands of stalactites. Royal Naval Dockyard – The Royal Naval Dockyard is a major entertainment area, with shops, bars and restaurants, as well as a national museum and craft market. It’s also the island’s biggest cruise ship terminal, so as you can imagine the area is usually bustling and very lively. Being situated in the Atlantic, Bermuda can get a little chilly in the evenings, so make sure you pack a light jacket. Overall though, Bermuda enjoys year-round warm weather and sunshine so there’s never a “bad” time to visit. The warmest temperatures are during the summer months of April to October, with July being the hottest month. In the winter months from November to March the island is less crowded and the temperatures are still pleasant; February is the coldest month with an average temperature of 18°C. To get the best cheap Business Class flights to Bermuda, simply complete the form on this page or call 0044 207 255 1234 to speak with one of SkyClub’s fast and friendly experts. We will find you special, discounted fares that are not available online. So, by the time you take your business class flights to Bermuda, you’ll feel happy knowing that you’ve paid less than the person seated nearest to you! Have a great trip and – if you want to save money – please book with SkyClub.